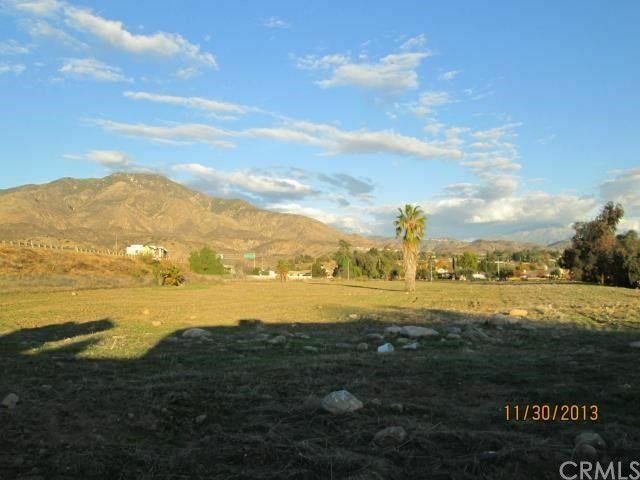 3.42 ACRES ADJACENT TO EAST HIGHLAND, NEWER TRACT OF HOMES, AND THE 330 FREEWAY AT THE 210 FWY, WITHIN A BLOCK OF 2 NEWER SHOPPING CENTERS, RESTAURANTS, BANKS, GROCERY STORES, FAST FOOD RESTAURANTS, MEDICAL, HOTEL, ETC. OWNER MAY CARRY 1ST T.D. MANY POTENTIAL USES AVAILABLE. BUYER TO VERIFY USE WITH CITY. Directions: Cross Streets: PACIFIC ST., BUCKEYE ST.